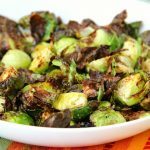 Honey and Balsamic Air Fryer Brussels Sprouts – Crispy and flavorful brussels spouts with notes of honey and balsamic. Is it strange that I never had even tried a brussels sprout until a couple years ago? They just never looked good to me. People described them as tiny cabbages, and honestly, I didn’t eat much cabbage or have a desire to. Everything changed when Josh and I were having dinner at one of our favorite restaurants in town and brussels sprouts came along with one of their specials as a side. Since I was a bit older and wiser, I decided to give them a shot. And that’s the night I fell in love with brussels sprouts. Since I’ve gotten the air fryer, I’ve been trying versions of all of favorite recipes in it. 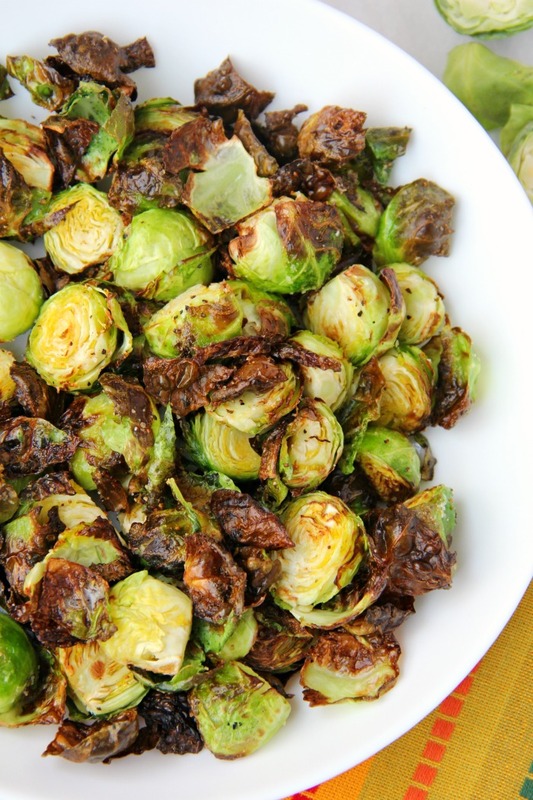 And let me tell you what. . .these Honey & Balsamic Air Fryer Brussels Sprouts are going to knock your socks off! Let me confess that often I buy brussels sprouts already chopped and cleaned. Shameful, I know. For you today, I found the greenest, freshest sprouts I could spot at the store. 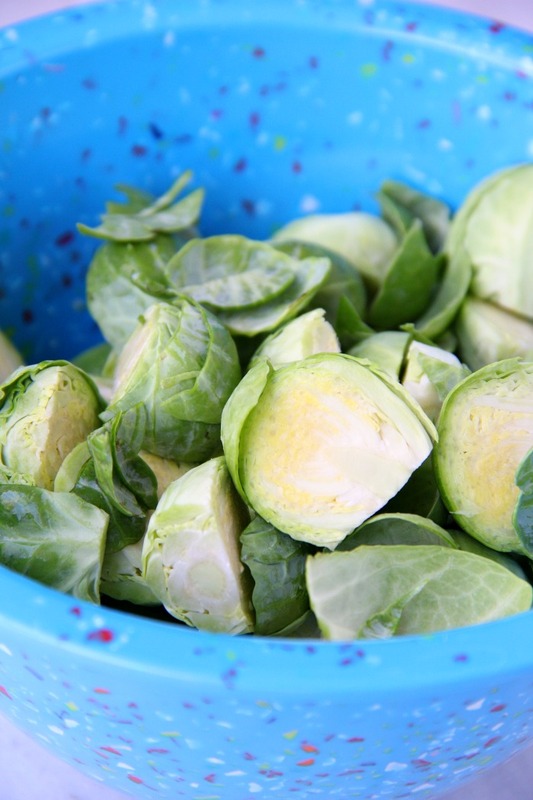 To prepare the brussels sprouts, you just want to wash them, cut off the ends of the sprouts, slice them in half and take off some of their outer leaves. I sprinkle them with olive oil, season them with salt and pepper and toss them into the air fryer basket. They brown and crisp up beautifully in no time at all. The final touches are honey and balsamic vinegar. I kid you not, this is my favorite way to prepare brussels sprouts, forever and always. And yes, you can make these in the oven. Just put them in for about 20 minutes at 425º Fahrenheit. 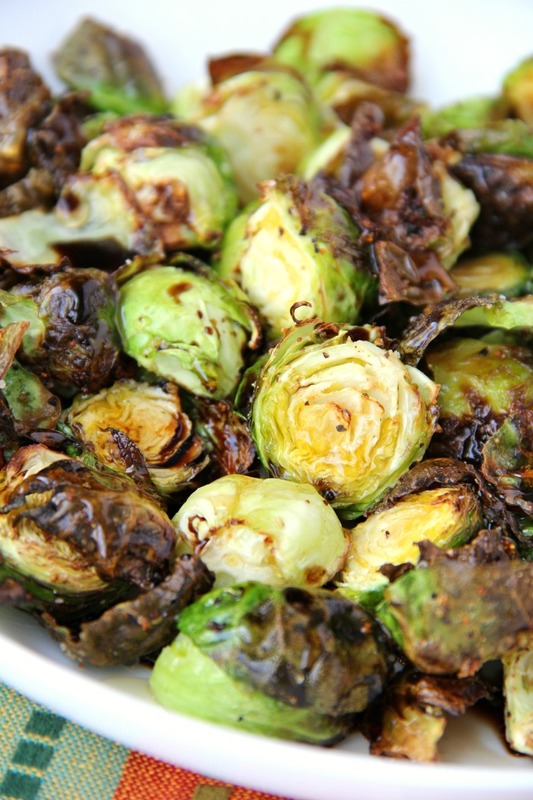 I promise you’re going to fall in love even if you never knew you liked brussels sprouts. I can say that, because it happened to me. I make this recipe at least once a week. Seriously. They almost taste like candy to me. Is that weird? I mean, give me veggies and I’m happy. Carrots, beans, peas . . .I crave it all. I think that’s a good thing, right? If you’re a veggie lover too, or just trying harder to be one, these honey and balsamic brussels sprouts won’t disappoint! Oh, and neither do these baked potatoes if you want to round out your meal! Enjoy! 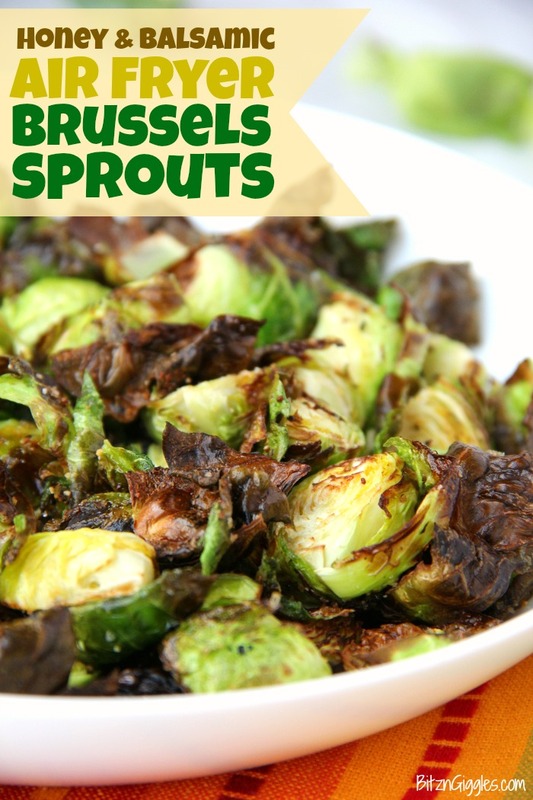 Crispy and flavorful brussels spouts with notes of honey and balsamic. 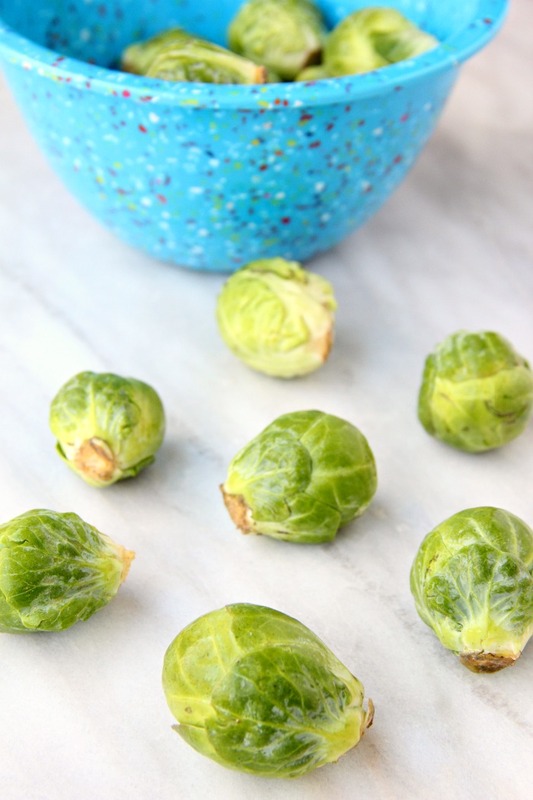 Mix brussels sprouts in bowl with olive oil, salt and pepper. Transfer brussels sprouts to air fryer basket. Cook at 400º Fahrenheit for 8-10 minutes, shaking the basket halfway through cooking time. 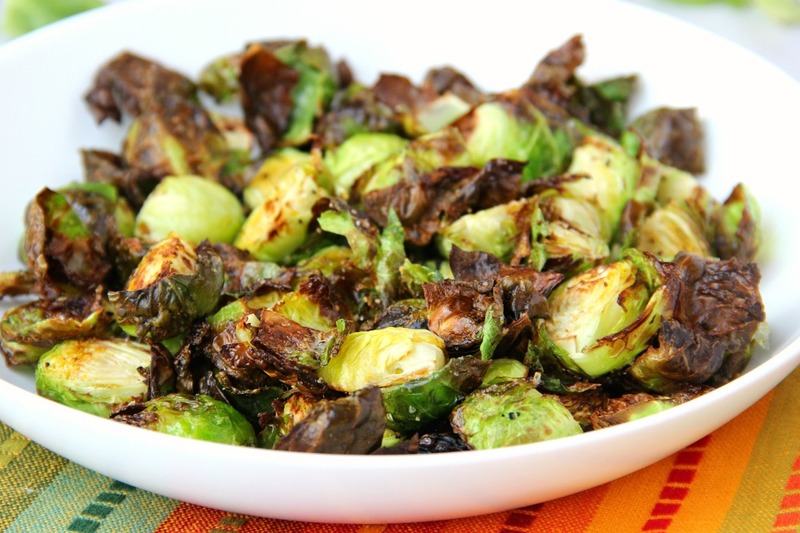 Toss brussels sprouts with honey and balsamic vinegar immediately before serving. I included oven instructions within the post. Just put them in for about 20 minutes at 425º Fahrenheit and then toss with the honey and balsamic vinegar. You’re going to love them! 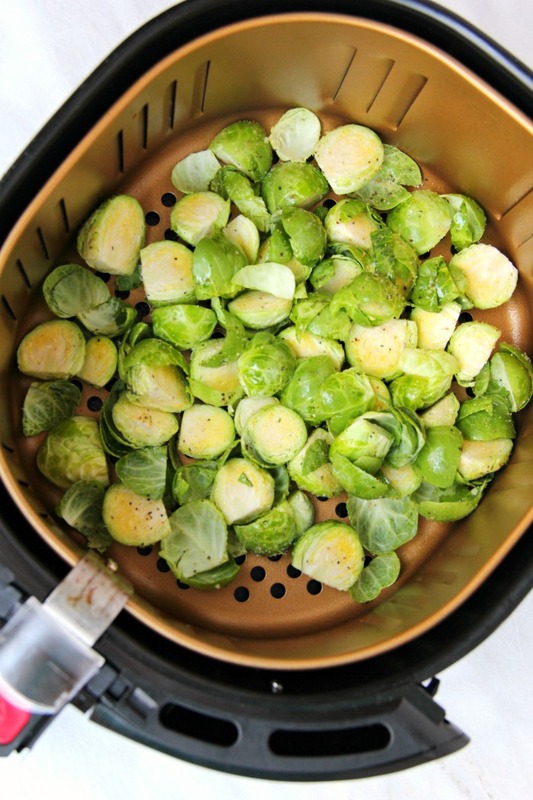 Hi first time air fryer user here…if I have 2lbs of brussel sprouts do I double the time? Thank you! You may need to do cook 1 lb. at a time depending on how big your basket is. You don’t want the brussels sprouts to be stacked on top of each other. . .it would cause uneven cooking. mine turned out rock hard and that was after 15 minutes of cooking in the air fryer on 400. I will start them in the microwave next time. Each air fryer will vary but I’m surprised to hear yours weren’t tender after 15 minutes at 400º. Did you remember to slice them? 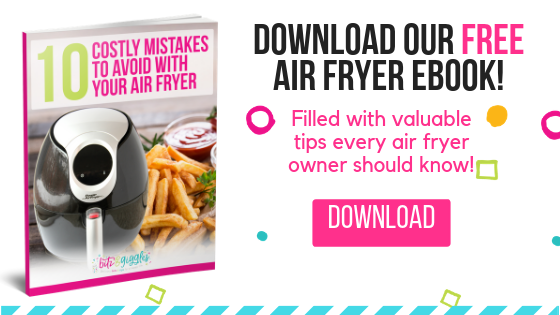 Perfect in the air fryer! I mixed the glaze with some Dijon mustard and tossed the roasted Brussels sprouts in it, and returned them to the air fryer for the last few minutes of cooking. Delicious! Mmmm. . .I’m going to have to try the Dijon!